This review is long overdue. After using a new foundation for several months, I now feel qualified to share my thoughts with you. You may remember that over the summer I was looking for a lighter foundation. I tried a couple of different ones after reading online reviews, and ultimately had success with Urban Decay’s Naked Skin. As I mentioned in previous posts, this foundation has been on my radar for a while, and I decided that this summer was the perfect time to test out a lighter makeup. I’m always skeptical when I try a new foundation — and even more so when it comes to selecting the correct color. After many failed attempts to identify the appropriate shade on my own, I always ask that someone in the beauty department at my local Ulta help me out. After all, you are laying out $40+ on a foundation, so you might as well get it right. When it comes to shades, I’m used to being on the low end of the spectrum, so I was surprised (and hesitant) when the color match revealed that I was a 5.0 in Urban Decay. But who am I to argue? Urban Decay’s Naked foundation is a weightless, ultra definition, liquid makeup. A major selling point for me was that it is paraben-free and infused with peptides. At first I tried to apply this foundation with my Bare Minerals brush, which didn’t work as well as I had hoped. So the next time I applied it, I used a regular makeup sponge. To my surprise, the sponge didn’t absorb too much of the product and it gave me a flawless finish. While this isn’t technically long-wear makeup, the foundation does a good job of getting me through the day without having to reapply. I feel confident wearing it, as there isn’t a ton of product on my face, yet it still gives buildable coverage. I thought that I would switch back to my beloved Stila Stay All Day foundation after summer was over, but since I just purchased my second bottle from Urban Decay, I will be sticking with the latter. If you are going to try this foundation, a little goes a long way. Don’t worry too much that it is a lighter foundation — it is very buildable and you can easily achieve your desired level of coverage. P.S. I promise to share photos of me wearing this foundation soon — although if you follow me on Instagram or Snapchat (@livinginsteil), you have seen it on me for the last few months. Thanks for sharing this review! I am a Laura Mercier fan when it comes to foundation but what I use is going away so I might need to check this one our soon. I’ll be a Laura Mercier fan till the day I die! Definitely give it a try, Kathrine! I love reading other’s reviews on foundations (and all makeup for that matter!) 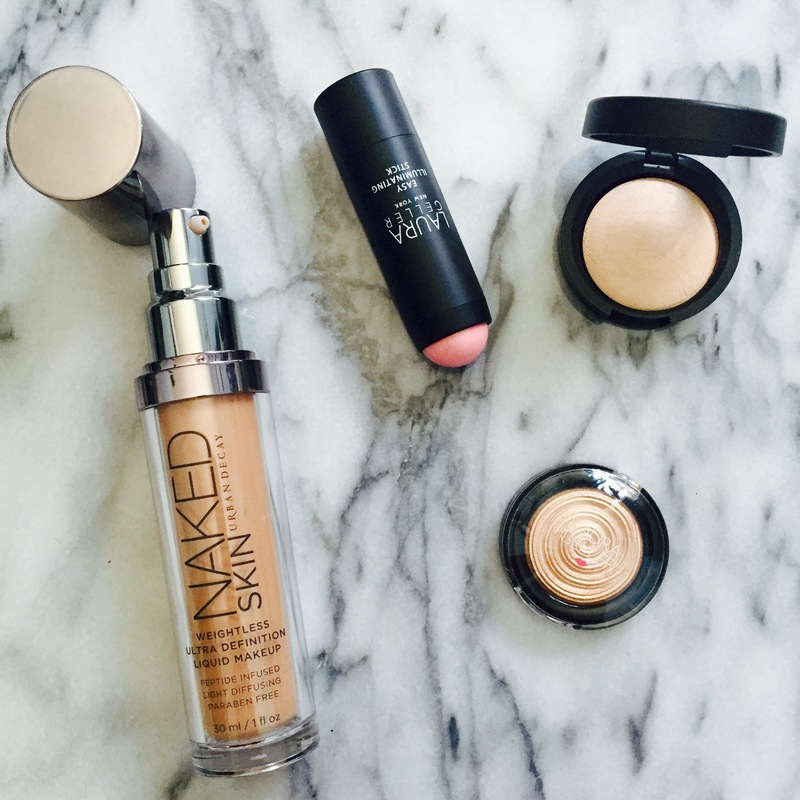 I’ve never tried Urban Decay foundation and now you’ve made me want to give it a go! Thanks, Heather! I’m so glad I tried it. I didn’t think I would end up switching to it permanently, but my skin seems happy–so I’m happy! Anytime, Filipa! It’s a great foundation.